Home › MindZBlog › 8 Common Meditation Myths: What’s the “Right” Way to Meditate? 8 Common Meditation Myths: What’s the “Right” Way to Meditate? 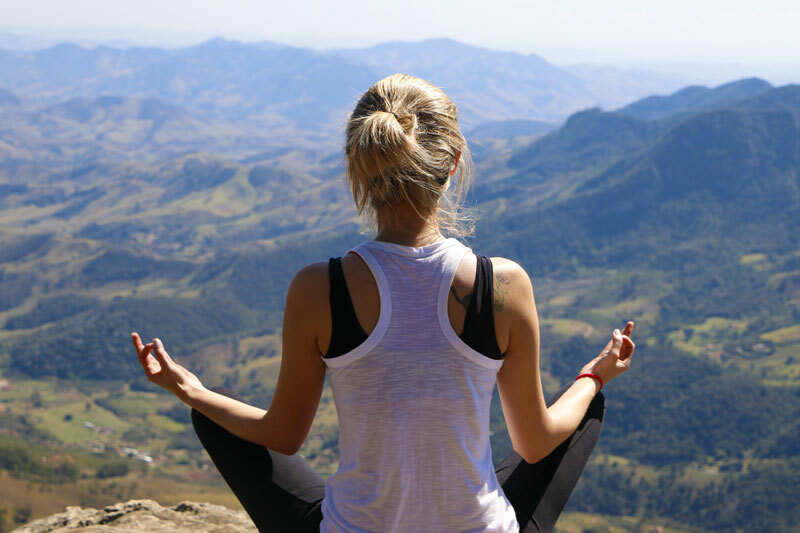 If your Facebook feed is any indication, the right way to meditate is wearing a tank top and sitting on cross-legged on a mountain with a smile on your lips as your head points slightly to the sky. But when has Facebook given you good instructions? Knowing that there are many ways to meditate expands your options. You won’t be limited trying to achieve a particular ideal. When you ask meditators about needing quiet surroundings, you’re likely to get very different responses. One of my first meditation communities had many young families. We all agreed that we wanted the children to grow up seeing meditation as part of their lives. We all agreed that we should be able to focus with or without disturbance. So we invited people to bring their babies and children into the meditation circle. There was noise and disturbance. Parents got up and down. Children ran around. Although we knew that theoretically we could meditate in any environment, our practices weren’t strong enough yet for a chaotic one. The distractions were just too much for our not-yet-trained monkey minds. You don’t need a quiet room for meditation. In fact, you can use noise as a support for your meditation. But when you begin, it can be helpful to reduce the disruptions as much as possible. If you can close a door and block some noise before you meditate, do that. But once you’ve done your best to make your environment reasonably quiet, just meditate. Bring your awareness to the sounds and notice what your mind does when you hear them. This myth is a toughie because meditation experts feed it. After all, how many meditation classes, books, courses, or tools have you seen with a picture of a meditator (usually young, beautiful, and female) sitting beatifically in nature? Sometimes she sits in a forest. Sometimes near the ocean. Sometimes she’s on the pinnacle of a cliff overlooking a gorgeous panorama. It’s hard to imagine you can meditate any other way, isn’t it? It’s important to remember that all those images are marketing–not meditation instruction. Nature is important. When you meditate in nature, you may find it easier to relax, touch into a deep, quiet spot, or unhook from your busy, everyday life. But just because sitting in nature is a good support for meditation, doesn’t mean it is a prerequisite. You can practice meditation wherever you are. In fact, it’s useful to practice in the circumstances of your normal routines. Don’t make “get to a retreat center” a reason to not meditate. Is it hard to get your easily distracted mind to focus? Just as you settle into your meditation you may already notice you’ve left it. But meditation isn’t “hard” like exertion. It’s challenging because it’s not easy. It’s uncomfortable. Over and over you notice things about yourself that are hard to admit. Over and over you have to refocus. Everyone is aware. It’s your natural state. It’s getting your noisy mind out of the way that’s tricky. There’s nothing complicated about learning to meditate. Bring your attention to something–typical meditation supports are sounds, your breath, or your thoughts. But is this easy? Probably not. It’s not unusual that meditation is very uncomfortable. Even though the instructions for meditating are simple, the practice can be challenging. Like the last two myths, this one is both true and false. Many meditation teachers have spent tens of thousands of hours meditating. And they’ll be the first to say that they barely know anything about it. But to think that you have to be like the masters to be able to meditate is like thinking you need to be a concert pianist to be able to play piano. If you sit down and meditate even once, you already know more about meditating than you did before. Don’t let the fear that you’ll never be a master stop you from beginning. It’s hard to sit still. It’s hard for anyone but it’s especially difficult for some bodies. Sitting still is not a prerequisite for meditating. If you find it hard to sit still, you have some options. Walking meditation is one way to bring mindfulness into movement. Some teachers recommend walking slowly and deliberately. Others encourage that you walk at a regular pace. Regardless of how you walk, bring your awareness to the process of walking. Notice what your body feels while walking. Become aware of the sensations. The other option is to direct your meditation to the struggle of sitting. Notice how it feels to want to move. Become aware of how your mind reacts. How many ways does your mind create to justify moving? How does your mind deal with the discomfort of wanting to move? Whether you are sitting or squirming, you can still meditate. Some bodies can’t sit with their legs crossed so don’t. Find another position and meditate. Myth #8: You have to close your eyes to meditate. When you picture people meditating, I bet you picture someone with their eyes closed. It’s quite common to close your eyes, but it is not mandatory. Some meditation techniques recommend that you keep your eyes open. How do you do this? Just as you might meditate on sounds. Bring your awareness to your vision. Notice what shapes, colors, and textures you see. Become aware of the play of light. Last month we looked at myths about what meditation is. Next month, we’ll look at common meditation myths about the benefits of mediation. Once you know what meditation is and is not, you’ll be able to find the meditation techniques that are right for you. The post 8 Common Meditation Myths: What’s the “Right” Way to Meditate? appeared first on About Meditation.